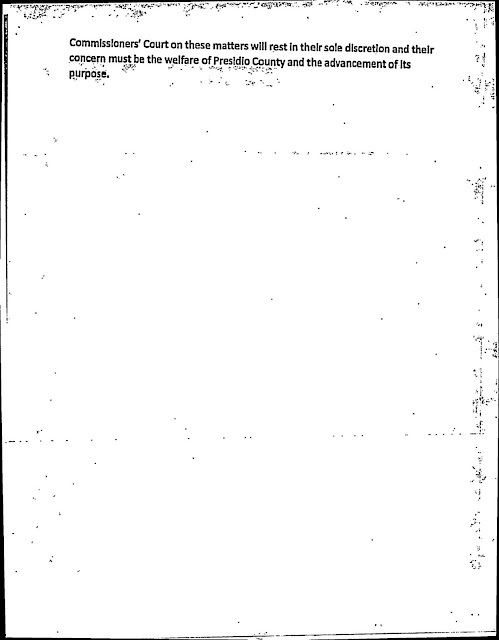 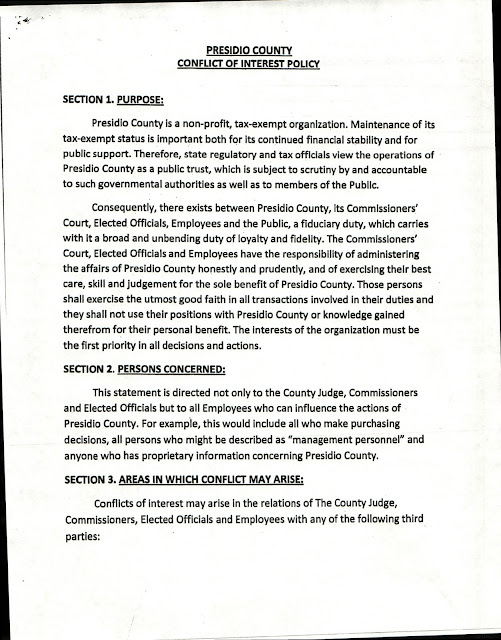 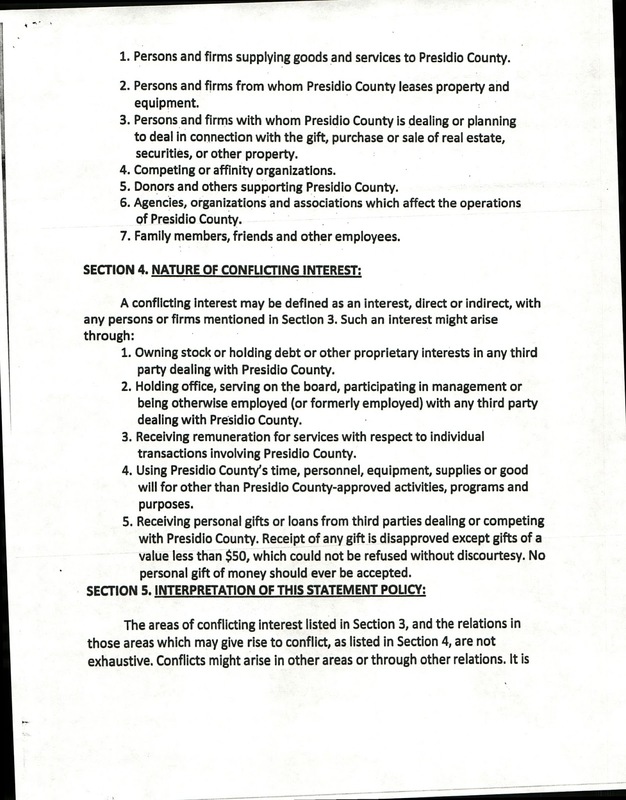 Scanned here is the current Conflict of Interest Policy for Presidio County employees, department heads, and elected officials. 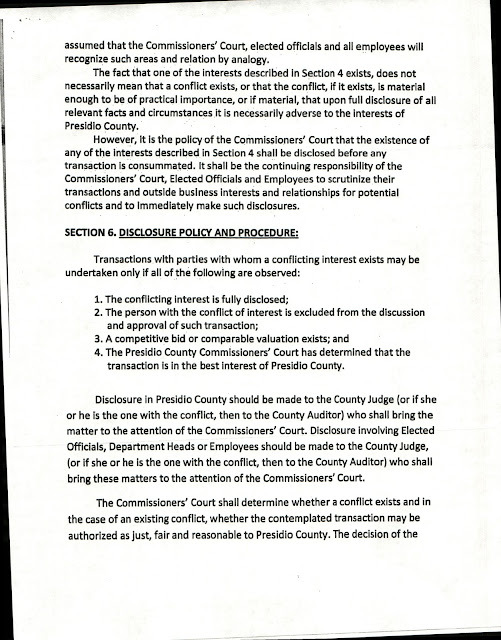 At this time of writing, most everyone who should have signed this document and turned it in has done so. One notable exception if Sheriff Danny Dominguez, who has not. 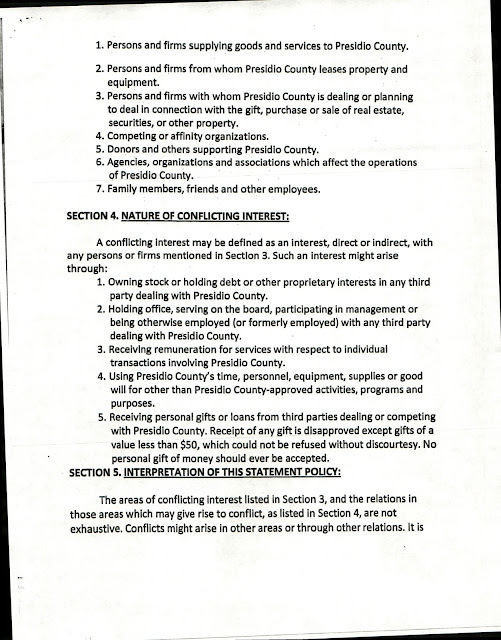 It has also been relayed to the Treasurer's Office that the Sheriff has stated that he will not sign this policy. 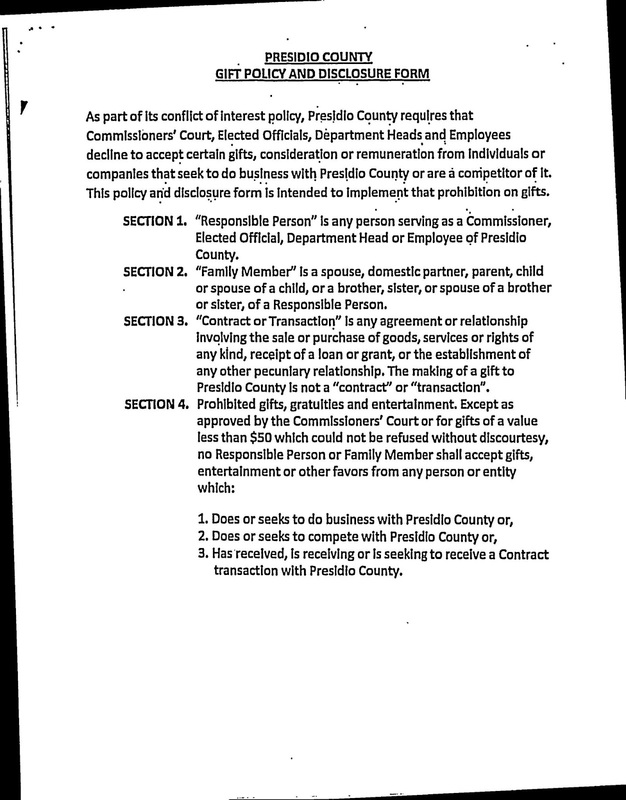 Please read the policy and perhaps you, the reader, can help shed some light as to why our elected Sheriff refuses to sign the policy.